common circular 3 was published on the occasion of points & lines. 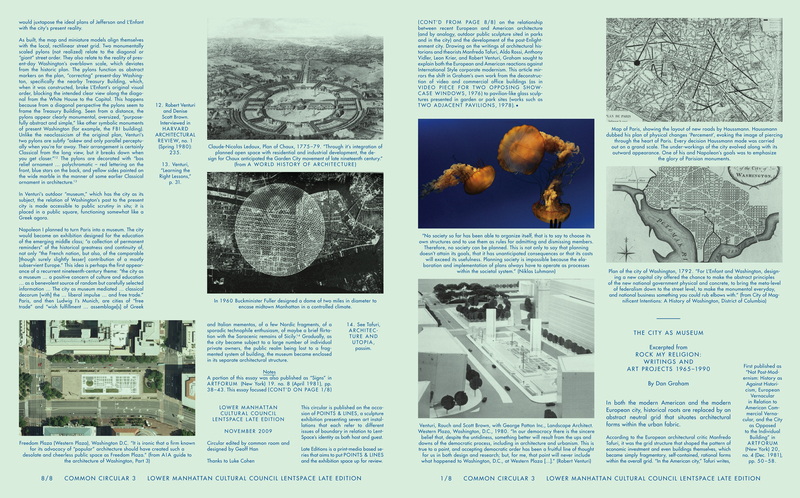 1 – common circular 3 was published as an insert to the ‘lent space’ program guide. 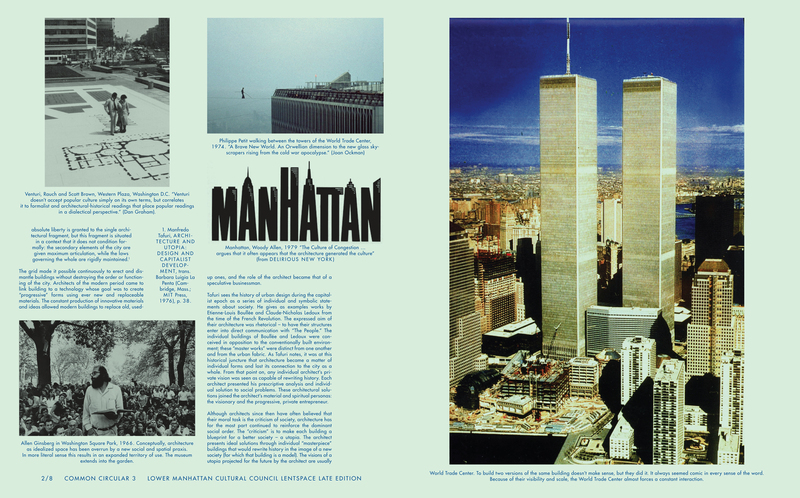 printed in four colors on green newsprint, the blue text references the blue printing of the program guide. 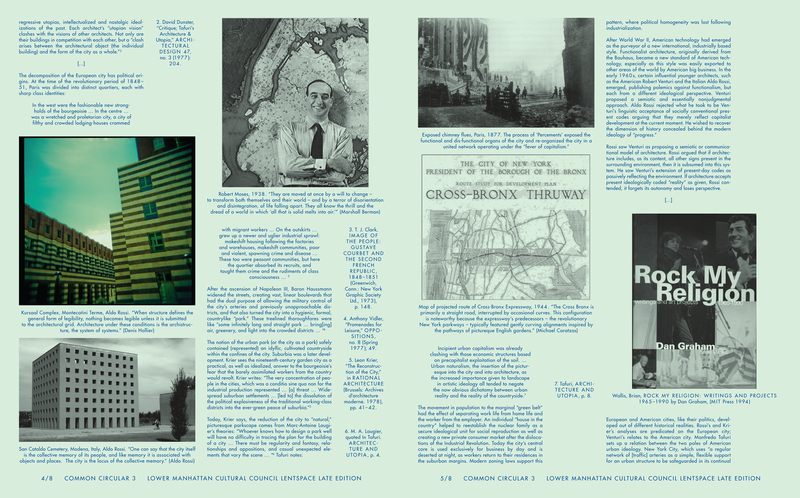 3 – images include a portrait of robert moses and a map of the cross-bronx thruway. 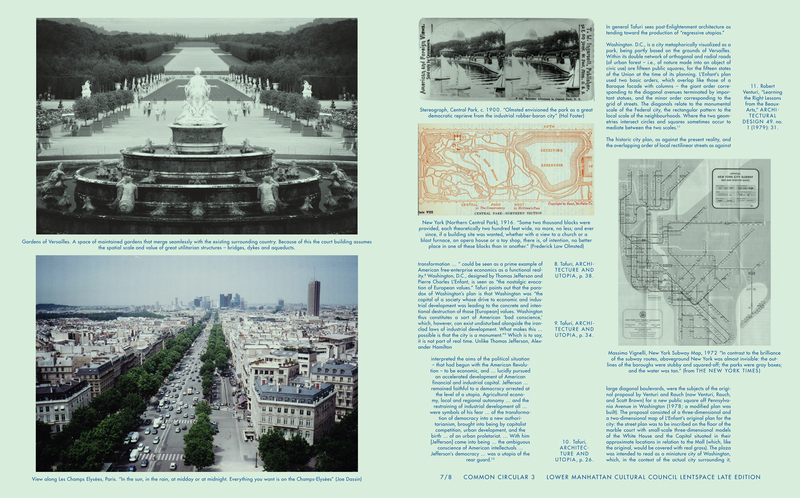 4 – images of the garden of versailles and the champs elysées. points & lines is a sculpture exhibition presenting seven art installations that each refer to different issues of boundary in relation to lentspace’s identity as both host and guest. late editions is a print-media based series that aims to put points & lines and the exhibition space up for review.